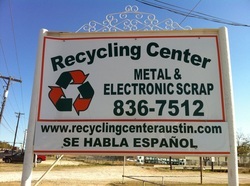 -Appliance Recycling- Don't throw out you old appliances, bring them to us. We'll recycle them. -Auto Scrap- Why put those old auto parts in the junk yard? We want them. -E Scrap- Moving an office, or upgrading your business? We can help keep our landfills clean.